Michael Jackson has two albums in the top ten best-selling of all time. 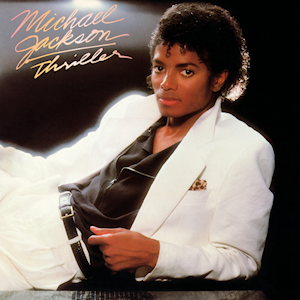 The first one is Thriller, which, besides the title track, also includes Billie Jean, Beat It, and PYT (Pretty Young Thing). Good luck to those of you taking the Jeopardy! Online Test tonight, I’ll be amongst you!